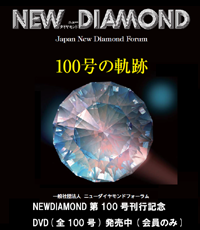 Updated documents of the general meeting for Japan New Diamond Forum. The 2019 New Diamond and Nanocarbon (NDNC2019) conference will be held in May, at the scenic east coast of Taiwan. JNDF is one of the support for NDNC2019. Thank you very much for your participation and contributions through your presentations. The objective of the project is the international standardization of the carbon film around Diamond-Like Carbon. To provide general understanding of the fundamentals of the fabrication process, structure, properties and performance of the thin films of amorphous carbon and related films has been conducted.